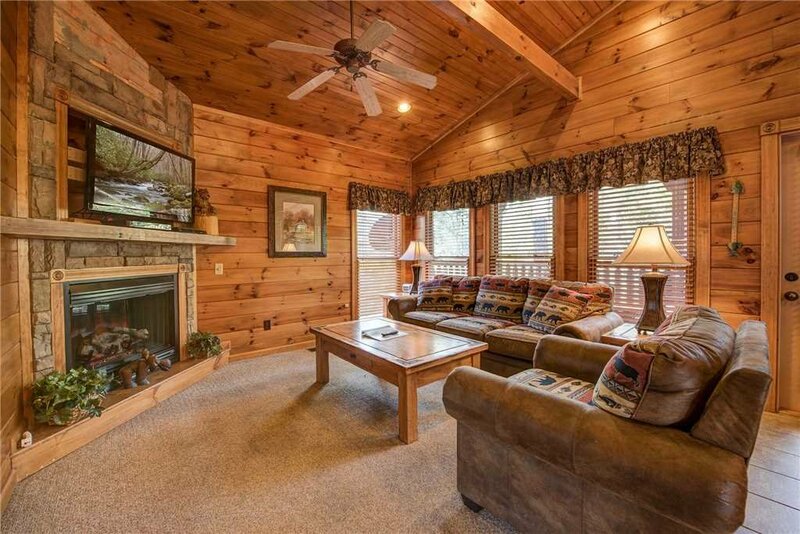 The Great Outdoors has everything you need for an ideal family vacation. 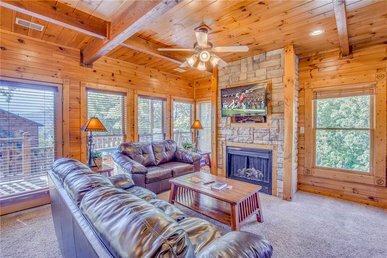 The log cabin is close to all of the area’s attractions, including the Great Smoky Mountains National Park, Dollywood, and the amusements of downtown Gatlinburg. Just as important, it’s packed with amenities to keep everyone entertained for hours, if not days. 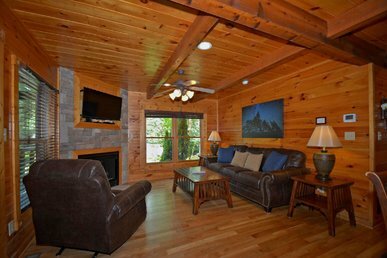 A hot tub, a pool table, a multi-game arcade, an Xbox 360, WiFi, satellite TV… You could spend your entire stay right in the cabin and never be bored! 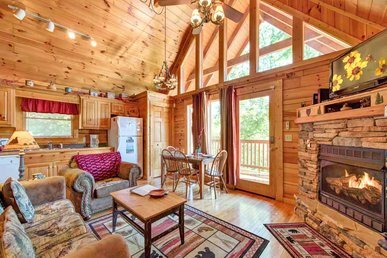 You’ll be delighted by The Great Outdoors even before you step foot inside. 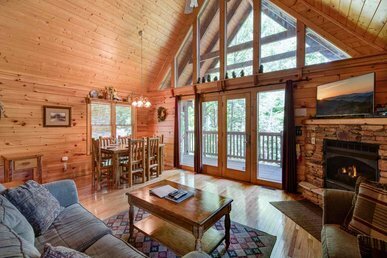 The home is part of a friendly community of cabins, surrounded by trees and with a stunning view of the Great Smoky Mountains. 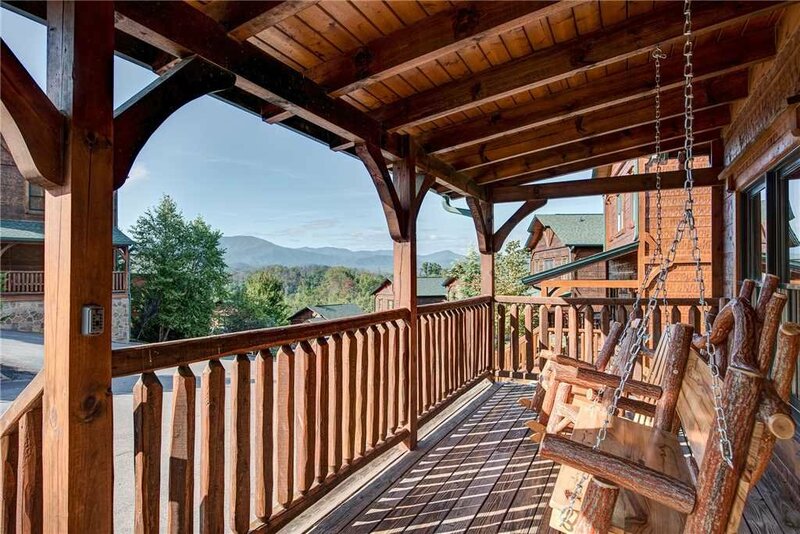 The front porch is furnished with rockers, a swing, and a bistro table so that you can make the most of the fresh mountain breeze and the sunshine. 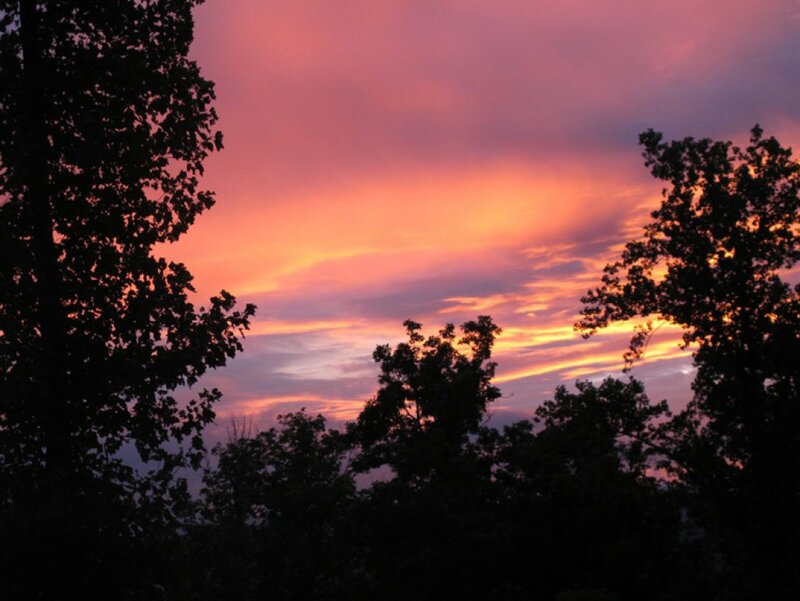 Listen to the birds greet the day while you linger over coffee and toast, read the kids a story while swaying on the porch swing, enjoy a moonlit nightcap before turning in. 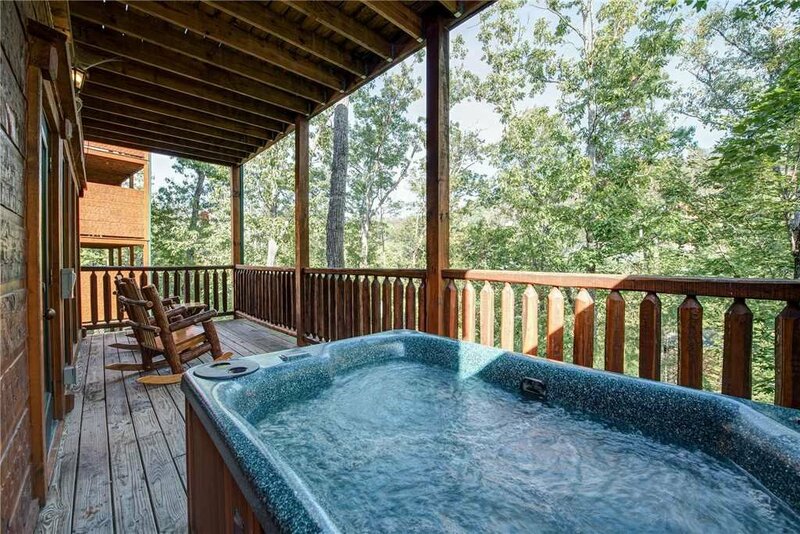 What’s more, the back deck has a roomy hot tub—because the only thing better than luxuriating among steamy bubbles is luxuriating among steamy bubbles while listening to the breeze rustle through sun-dappled trees! 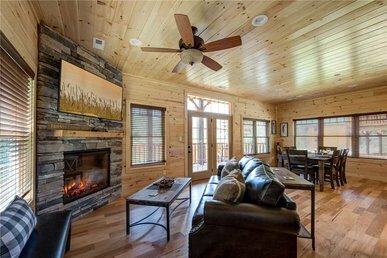 Indoors, wood-planked walls, comfortable seating and a gas fireplace give the living room a welcoming, laid-back ambiance. 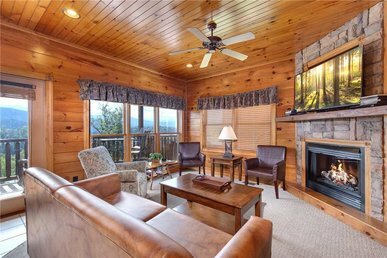 It’s the perfect spot for kicking back to watch a movie on the flat-panel TV, to curl up with your tablet or a book, or even to stretch out for a well-deserved nap. 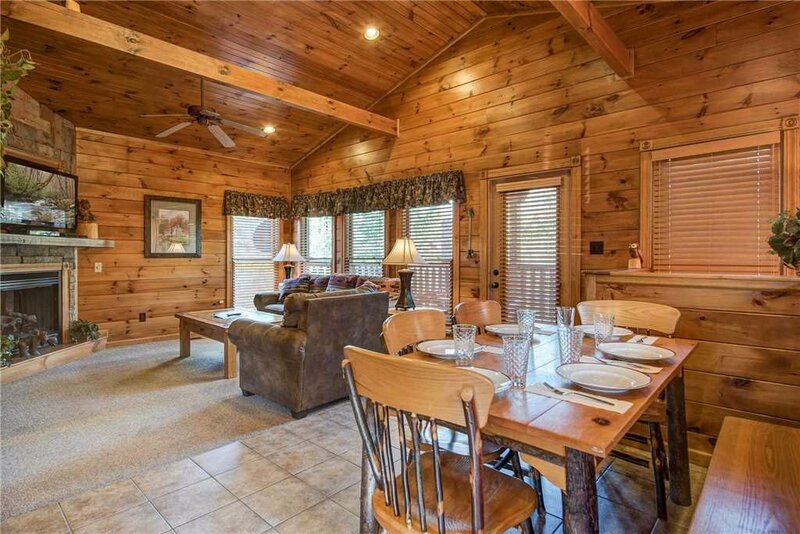 The dining area is just as inviting, with a log-style dining table that seats 6 with ease. When traveling with the kids, it’s often easier (not to mention more affordable) to eat in. 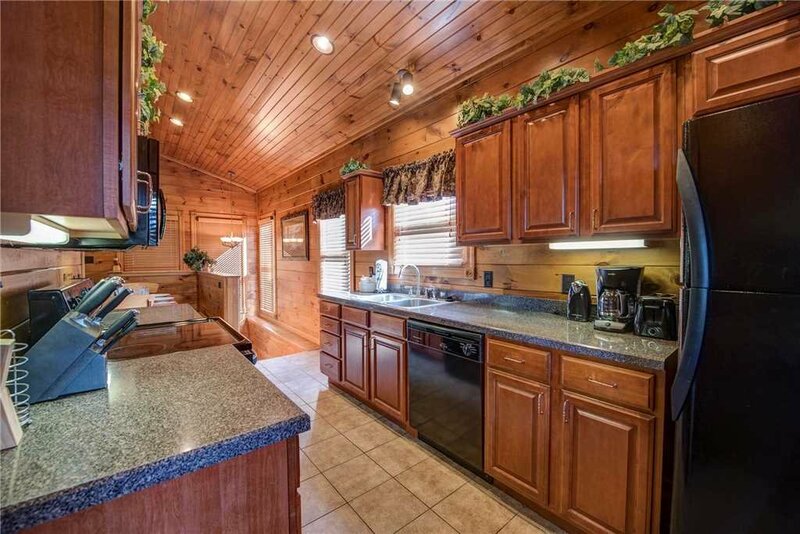 For that reason, The Great Outdoors’ kitchen is equipped with all the appliances, gadgets, cookware, and tableware you’ll need, whether you’re whipping up breakfast smoothies or hosting a gourmet feast. 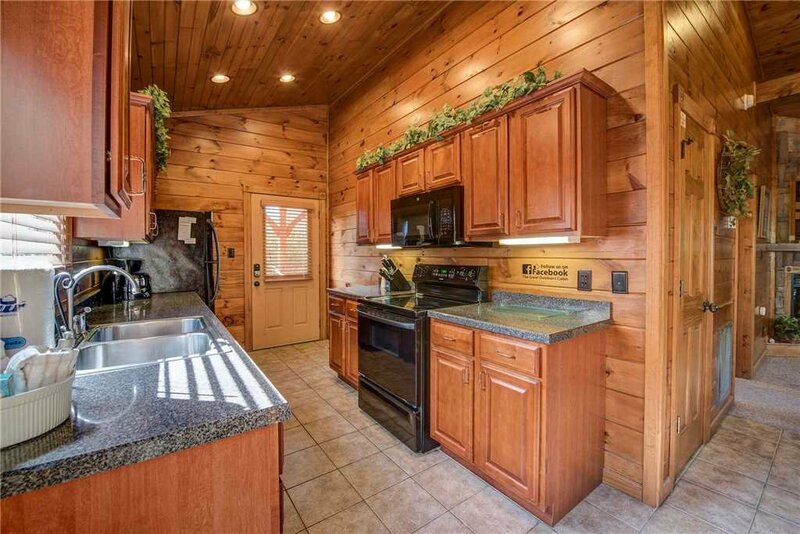 There’s a dishwasher too because no one wants to scrub plates while on vacation. 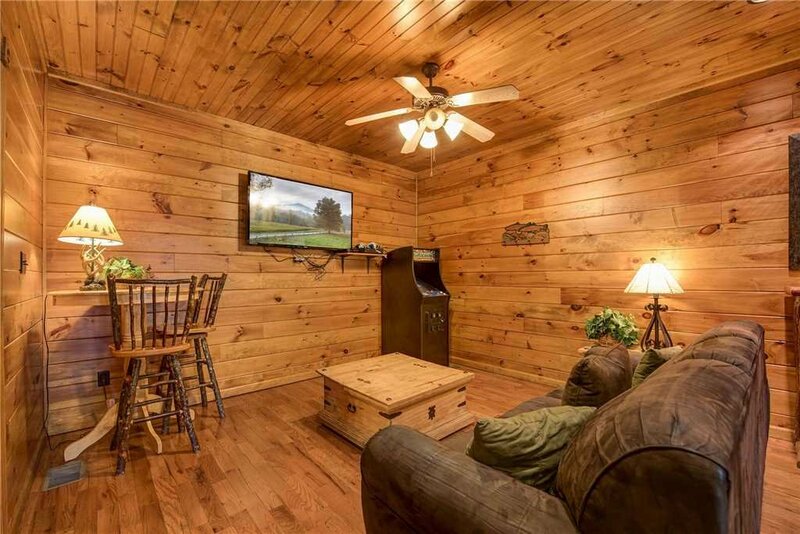 The game room will undoubtedly be the kids’ favorite room in the cabin—and it just might be yours as well. Your toughest decision could be deciding what to do first: shoot some pool at the full-size billiard table, try your hand at one of the classic video games on the multi-game arcade, sit down with the Xbox 360 or the PlayStation 2, play cards at the pub-style table… You might find yourself hoping for a rainy day so that you can have a go at them all! 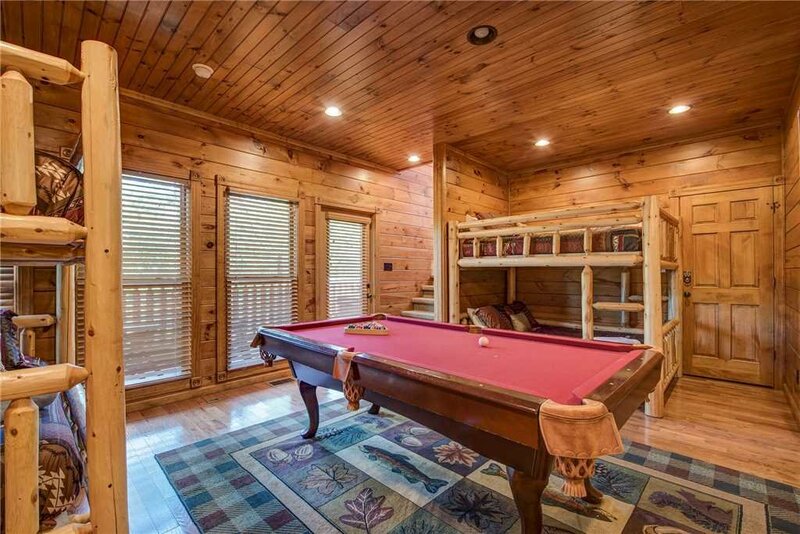 The game room also serves as a bedroom, with 2 pairs of bunk beds and a sofa that opens into a bed for 2 (as does the living room sofa). 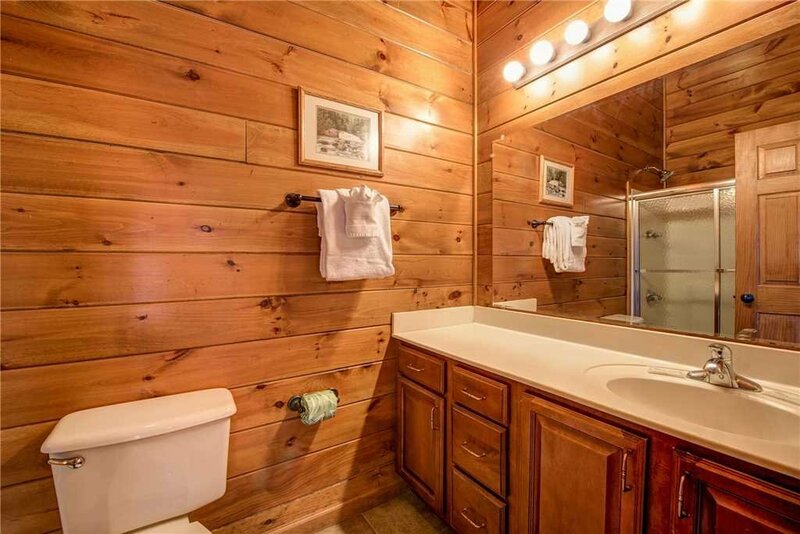 The lower level bathroom features a stand-up shower, as well as a heart-shaped jetted tub. 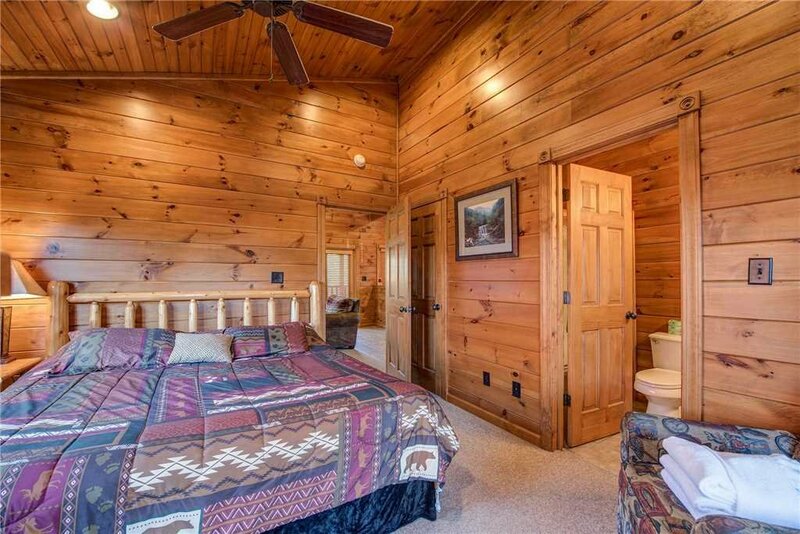 We think this is one time the kids definitely won’t mind sharing a room! 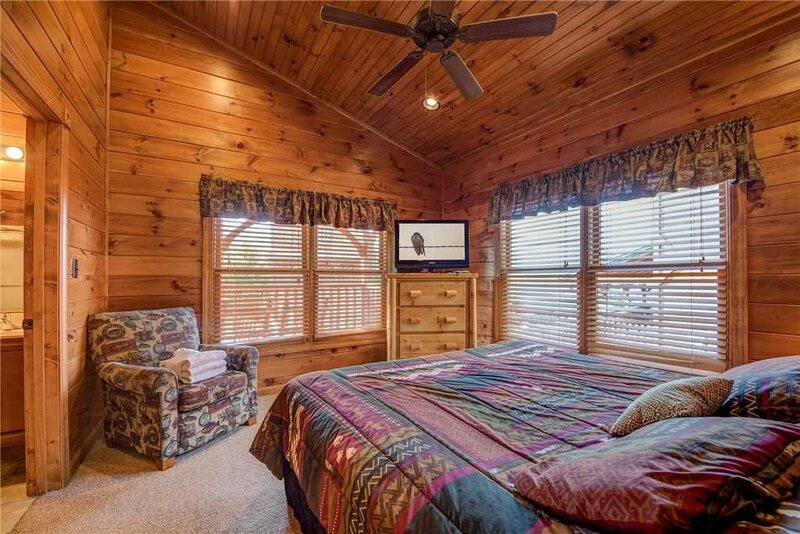 The 2nd bedroom is a master suite, located on the main level, that includes a sumptuous king-size bed and a full en-suite bathroom. 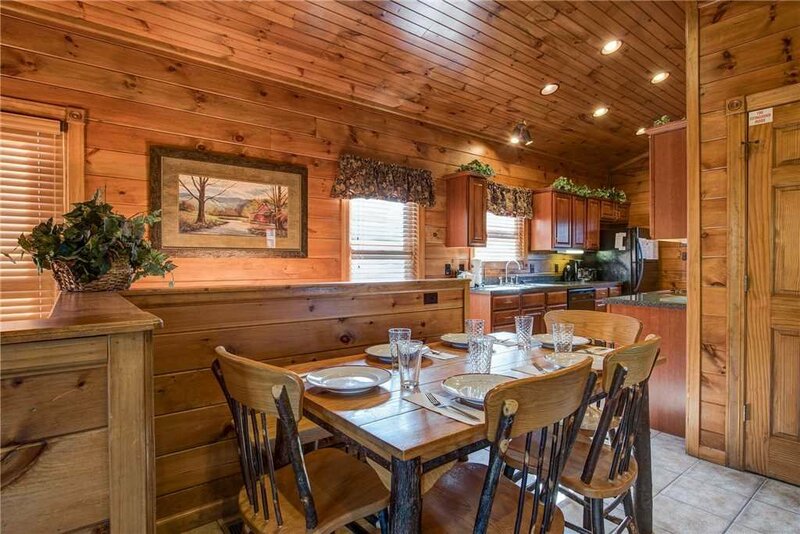 The cabin also has a washer and dryer for maximum convenience. You’ll arrive to find the beds already made up and plenty of clean towels and extra bedding ready and waiting. 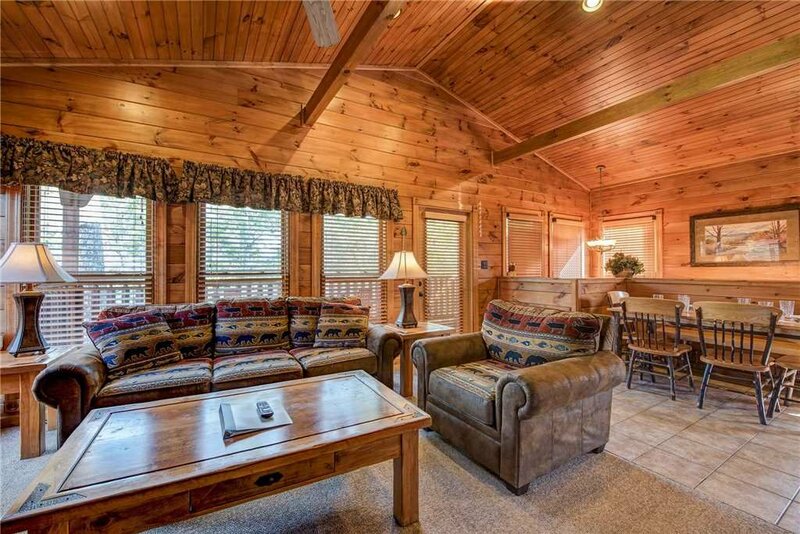 Also ready and waiting is a world of fun and adventure just minutes from the cabin’s front door. 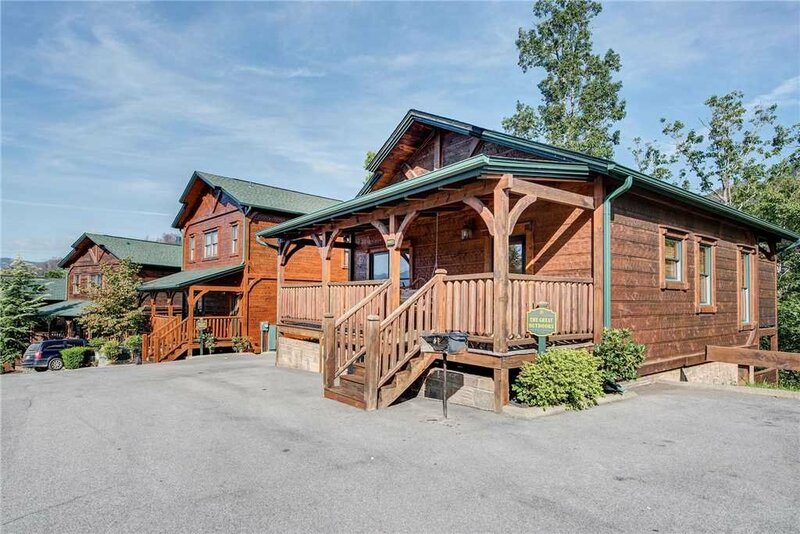 You can drive to the restaurants and amusements of downtown Gatlinburg in less than 10 minutes. 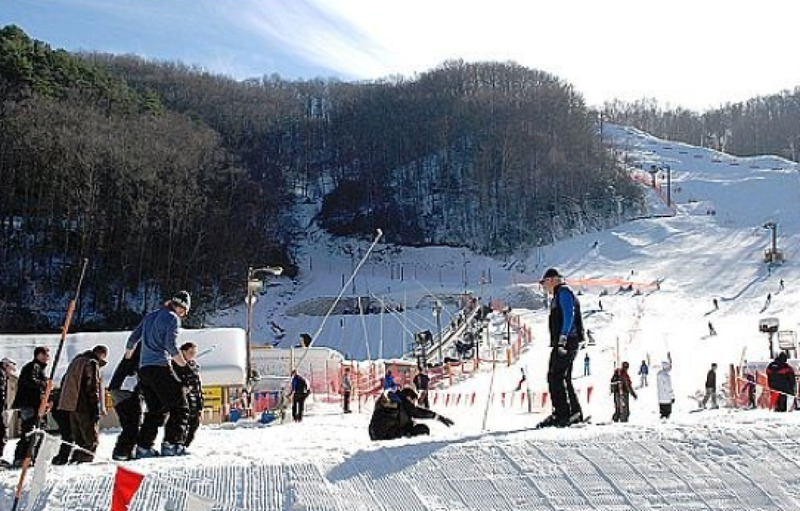 Also, close by are the Great Smoky Mountains National Park and Ober Gatlinburg Amusement Park & Ski Area. 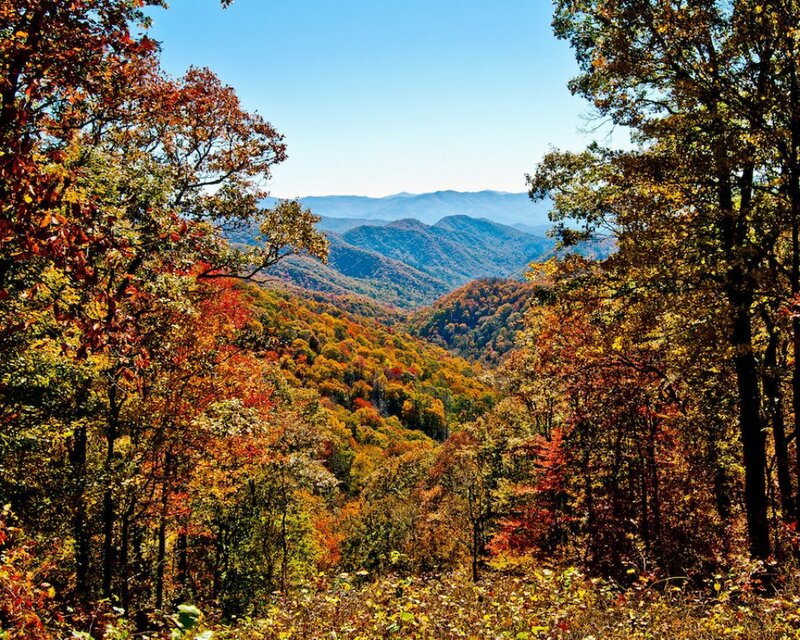 And Dollywood, the Titanic Museum, and the other hot spots of Pigeon Forge are no more than a half-hour away. 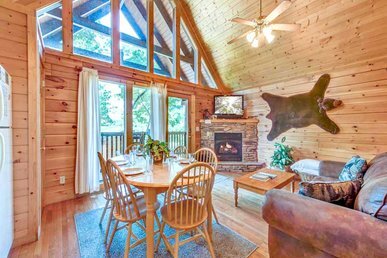 Whether out and about or kicking back in the cabin, the entire family will find plenty to enjoy when you stay at The Great Outdoors. 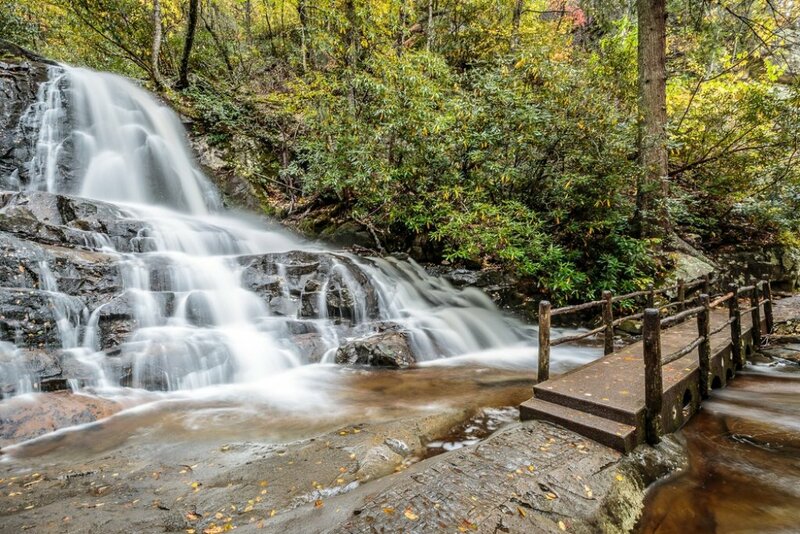 In fact, this just might be your most fun-filled and memorable vacation yet. So go on and book your stay today—before someone else beats you to it! Nice, clean rental that was well appointed. No complaints, everything worked fine. We enjoyed our stay for 9 days! Would stay there again. 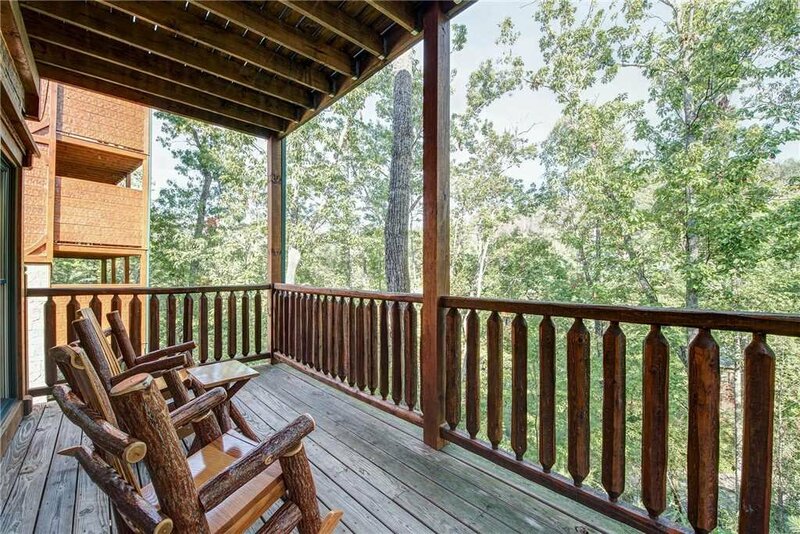 Relaxing stay away from the city. 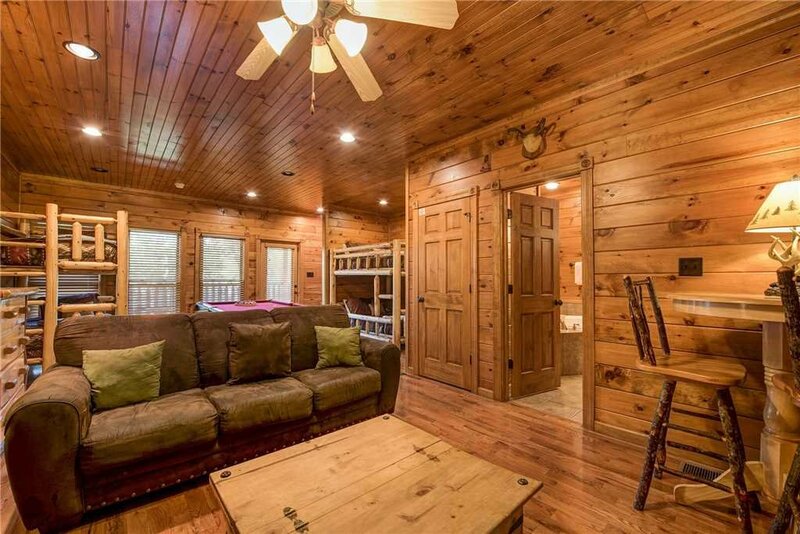 The cabin was clean, welcoming, and spacious for the amount of people that we rented it for. The only issue was the WIFI. Overall, a very relaxing experience away from the city. 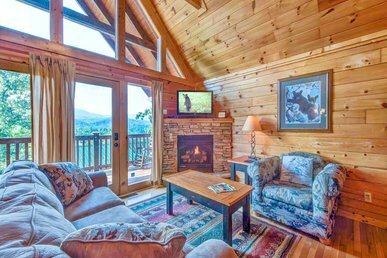 Our stay was great other than the stones from the fireplace falling off the wall. Loved it!! Did not want to leave!! Just awesome!! 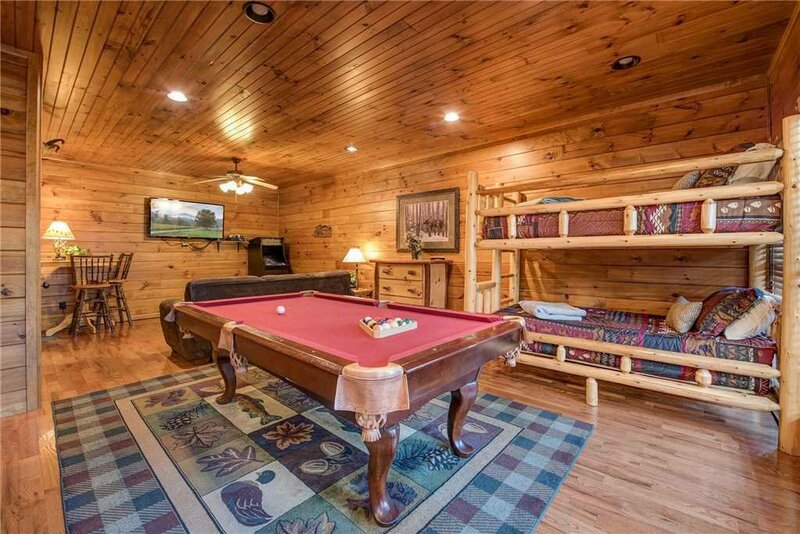 Had a great time and we loved the pool table and hot tub. 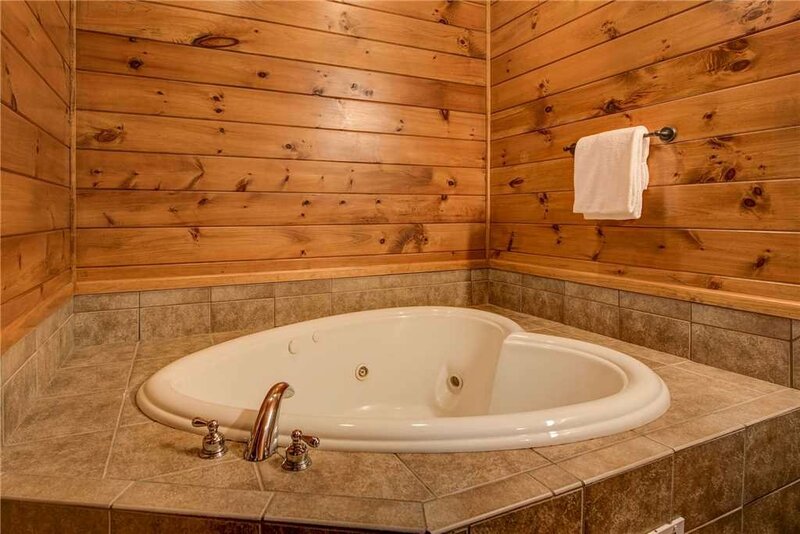 The only thing that didn\'t make sense was the Hot Tub and Heart Shaped jet tub (for 2) being in the kids space. 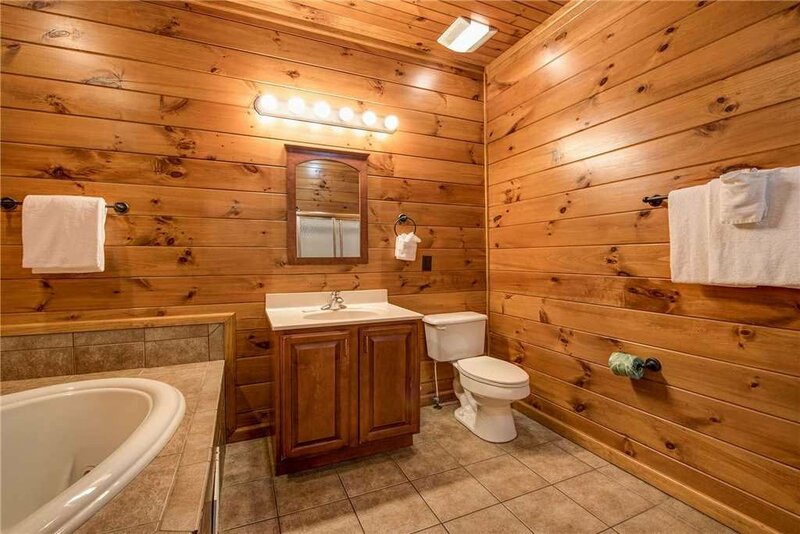 What couple is going to go downstairs to the kids bathroom to take a bath together? :) Other than that...the stay was perfect!